This article is in serious need of repairs/improvements. The reason given is: Desperately needs more information. 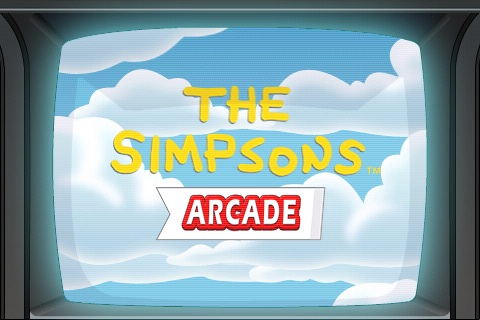 The Simpsons Arcade is an arcade game for the iOS. The game consists of you controlling a character, that fights other regulars of The Simpsons. 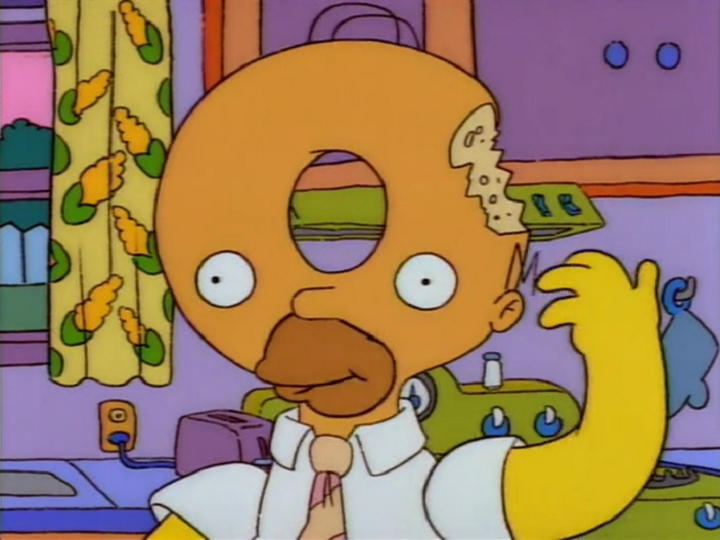 Playing as Homer, three men in suits come and rid Homer of his donut. Mayor Quimby then drives off, with the men running behind. Smithers, who was lying on the ground, stands up and runs off. Homer is angry, and as so, fights three men in suits. Then, a mysterious man in a white suit, appears to fight. Once beaten, Homer proceeds to fight a suited man with a giant hammer (which can be stolen if lucky). After proceeding, the player sees Moe who runs off. Mayor Quimby's car drives back and he throws three explosives back, then drives off. A white-suit and black-suit man both then appear to fight. Then, four men - two with white suits, two with black - will finally try to fight Homer. When beaten, the level is ended. In the next section, Chief Wiggum decides to fight you. When his health has depleted to half-way, he begins to use a tazer as well as a charge attack. Next, you must fight a white-suit man. Next, Mayor Quimby will throw four explosives back. Then, white and black suit men fight. Then black, white and black men appear to fight. In the next area, Mayor Quimby along with a black-suited and three white-suited men will appear. Mayor Quimby throws three explosives, yet again. Finally, two black-suited men fight, when Marge and Maggie hit Homer over the head for an indestructible attack. Just in time, two white-suited men appear out of a helicopter. Then, Homer runs after Quimby's car. You must dodge the explosives thrown. Having finally gone as far as he can go, Quimby proceeds to fight Homer by calling some aide. During this, you must pull him out of the car and thrash him. First phase: Wiggum hits you with a baton and charges at you with it. Second phase: Wiggum pulls out a taser, which he can electrocute you with from long-range. First phase: Quimby dives in the back of his car, when he pokes his head out of the car he is vulnerable and can be thrown out, onto the ground and hurt. First phase: Behind service counters, Squeaky-Voiced Teen hurls cans at you, then slides out of harm's way and behind the opposite counter. Break apart the service counters to expose him. Second phase: Now vulnerable to attack, Squeaky-Voiced Teen will defend himself by tossing pizza slices and sliding under Homer's feet when knocked down, which will hurt Homer. 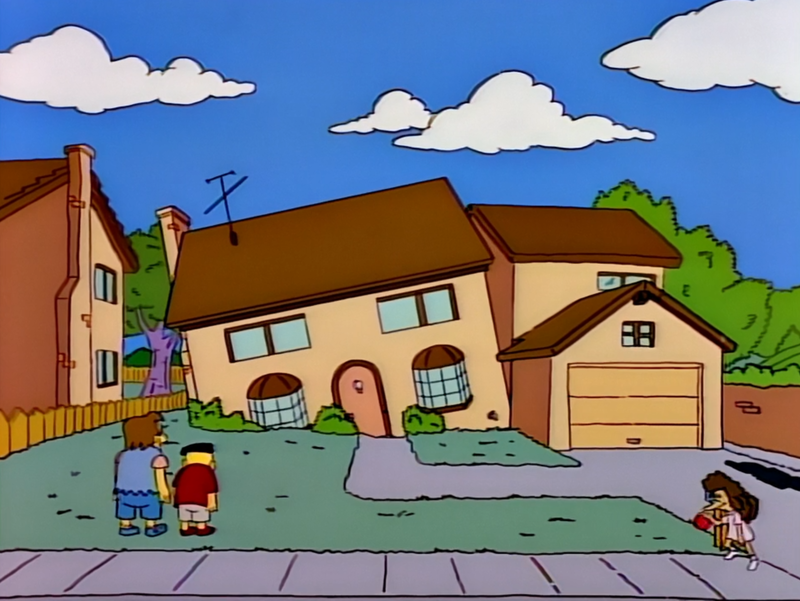 First phase: Meyers tosses exploding Itchy and Scratchy dolls onto the ground, which follow Homer around and explode after a period of time. If you knock him down, sometimes he will brandish a cartoon axe at you when he gets up. Second phase: With the same weapons as last time, Robert Meyers Jr. now pulls out a giant hammer, which he can knock you sprawling with. Make sure to stay out of harm's way when he takes a swing. First phase: Bumblebee Man is easy at first sight: just hit him, knock him down, walk away from him when he flies backwards and tries to hit you with his stinger and resume your attack. Second phase: Bumblebee Man then uses a pair of maracas to spin around the room. He is moderately slow, so you should be able to dodge his frantic attack. Make sure to sock it to him when he gets dizzy and stops spinning. Third phase: His spinning-maracas attack becomes about ten times worse. Bumblebee Man spins around at a crazed speed, fast enough to seriously damage you. First phase: Brockman uses a microphone to try and pull you down and hurt you. Make sure to move into a different lane when the mic starts spinning in his hand. Once Brockman has lashed out a few times the mic will go limp. This is your window in which to hit him. Second phase: Brockman's microphone now gets electrified, and he throws these circular objects at Homer. Repeat your same tactic of getting out of the way, waiting for your attack opportunity, and beating down Brockman. First phase: Mel will play a harmonica if you get too close to him, which will do damage. Wait for him to throw the bone in his hair a few times, on the third throw it will knock him dizzy from behind, which allows you to hit Mel. Second phase: Same as before, except Mel's bone throw is a little more lethal if the bone strikes Homer. First phase: Krusty will throw pies at you. Dodge the pie at the last second, then hit Krusty. When Krusty recovers from his pounding, he won't get up - he will spring into the air with his joke clown shoes. Watch out for his leap attack. Second phase: Krusty inflates his glove to make it huge. You will be seriously injured if he his you with this hard strike. Dodge at the last second, then his big glove will deflate and you can attack him. 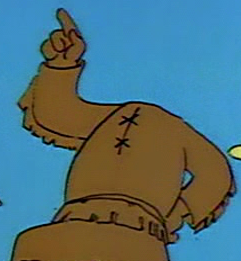 First phase: Wolfcastle is seemingly untouchable - he cannot be harmed by physical attacks because he'll hurt Homer if you go near him with a big golf bag. He will throw golf clubs from the bag at you when he walks away. When a crate drops from the ceiling - open it, grab a giant hammer out of it - and crack Wolfcastle. Second phase: Wolfcastle will now throw the golf bag at you, which can deplete your health like crazy. Avoid his throwing attack until another crate drops from the ceiling, then bring the hammer down on Wolfcastle again. Third phase: Wolfcastle abandons the golf bag and decides to fight Homer one-on-one. Don't hit him- he'll be unaffected. Just wait for another crate and take some more swings at Rainier Wolfcastle until he falls. First phase: The Rich Texan shoots his guns into the ceiling, which will cause debris to fall down. Avoid the falling hazards and make a beeline for The Rich Texan, so you can knock him down. When he gets up, stay away, he will twirl his guns and knock you down. He can also do this hat-throwing trick from long off. Second phase: He now fires his guns again, leading a group of bulls to rampage onto the stage - get out of the way as soon as you can. Resume your attack and finish off the Rich Texan. The game is set out in arcade-mode style in which Homer must fight other characters in order to proceed on to the next areas. Modified on February 10, 2016, at 16:25.